I also am sensing some confusion on the terminology. And the correct application of the KoolTools technique. 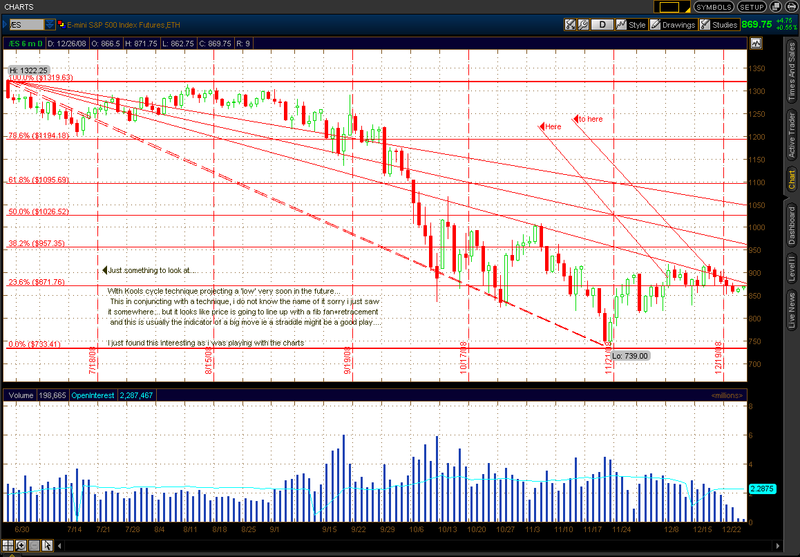 I also think it is important to know how to correctly apply the Fibonacci tools in the charting programs we are using. I apologize to anyone that I have confused with my terminology (calling an extension a projection for example), or any other incorrect application of Kool's technique. I just got out one of my Fibonacci books, written by the folks over at Elliott Wave International (EWI), who I consider the authority on this subject. They have a handy table of all the Fibonacci ratio numbers. These ratio numbers are all calculated as powers of the square root of phi, and inverse ratios of those. The ratios of the square root of phi are the Fibonacci Extension values (1.272, 1.618, 2.058, 2.618 ...). and the inverse ratios of the square root of phi are the Fibonacci Retracement values (0.786, 0.618, ...). 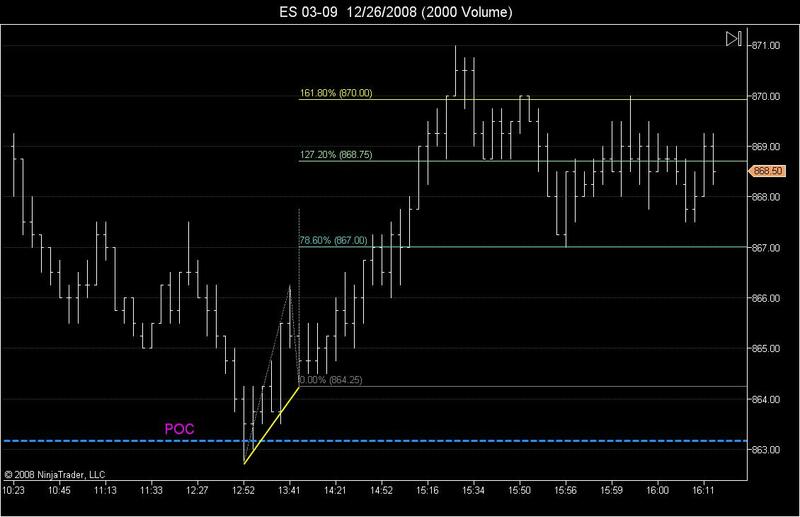 It turns out, some of the Fibonacci retracement and extension numbers set as the defaults in the Ninja Trader charting program are not valid Fibonacci numbers ! I had to re-work all the default numbers in NT to line them up with the EWI table. If you start a thread, perhaps in the trading techniques section of the forum (so it wont get lost), I will add the EWI table to the thread for reference and safe keeping.